This is my Daughter Madison. 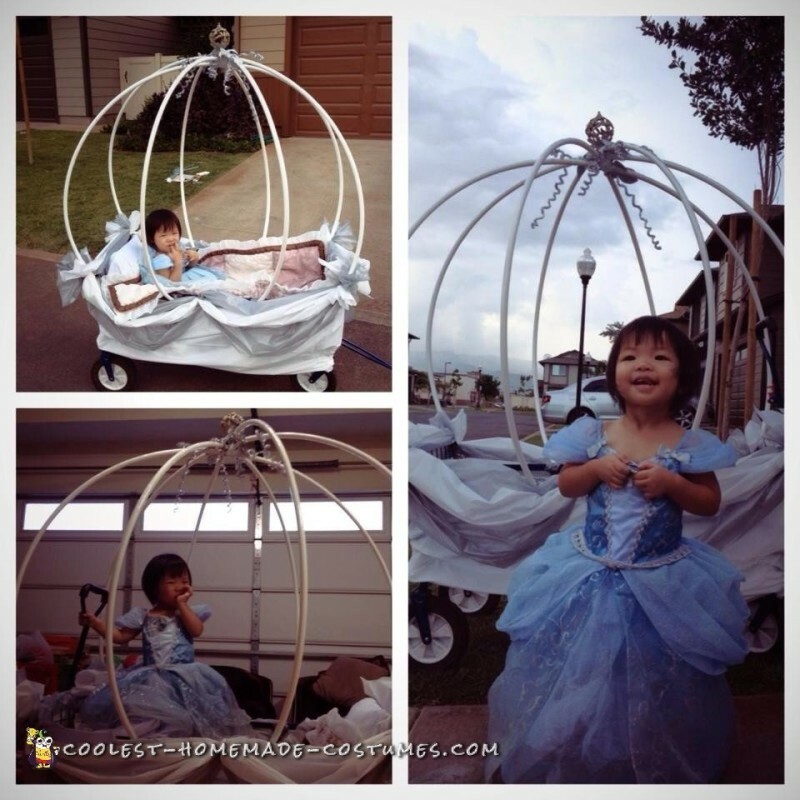 She is our little princess, so I decided to turn her into a real princess for Halloween (carriage and all)! 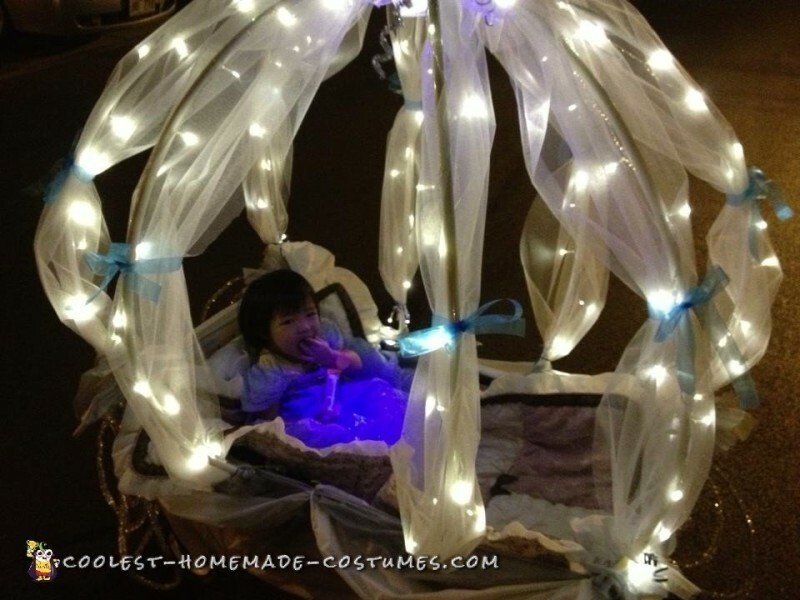 She is wearing a Cinderella dress. We have her illuminated by a blue light do that she can be seen, plus it makes her look more “sparkly”. I created the carriage out of a large wagon that we have. 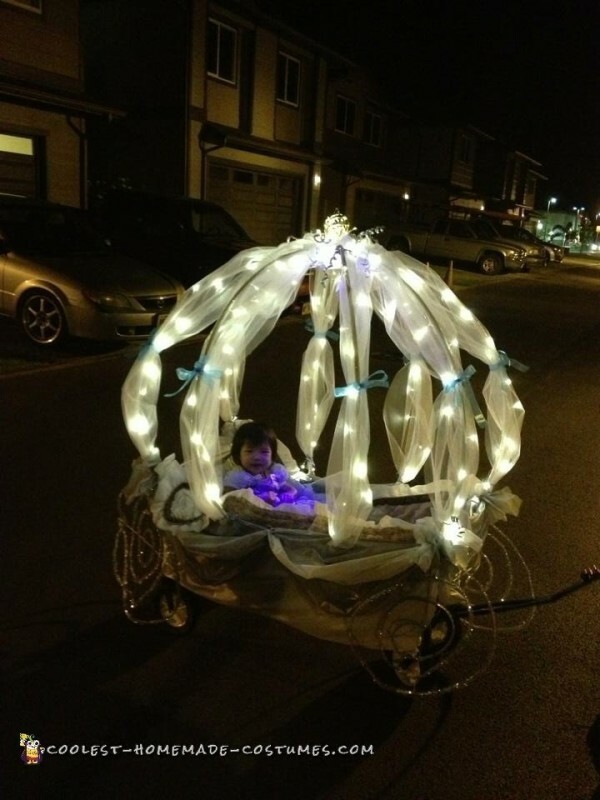 I cut open, painted and attached 3 hula-hoops to the wagon to create the shape of her carriage. 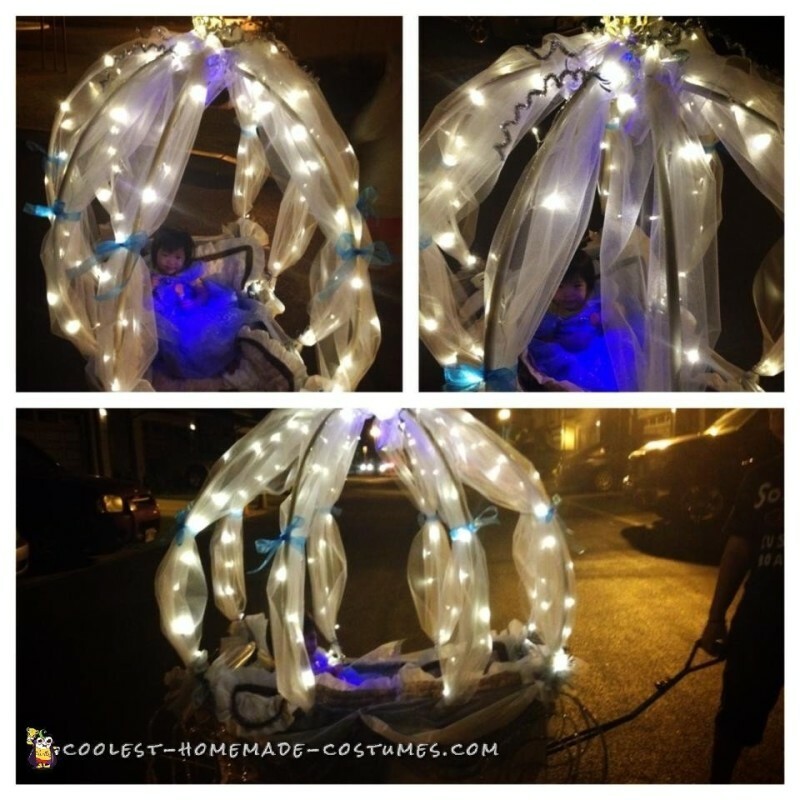 I added lots of tulle and battery operated christmas lights. I dressed up the sides of the wagon with white and silver fabric. I am including an unfinished pic of the carriage so you can see what it looks like. 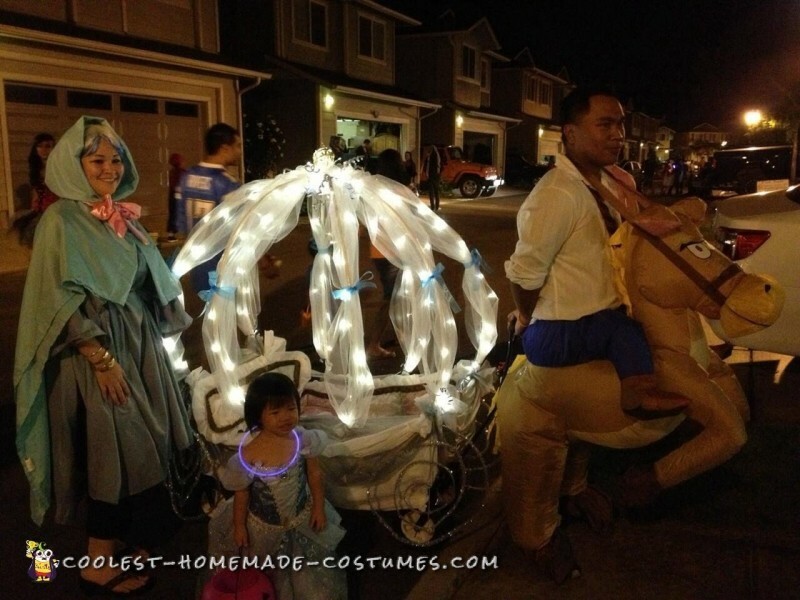 To complete the look, her daddy dressed as prince charming riding a horse pulling the carriage and I dressed as her fairy godmother.